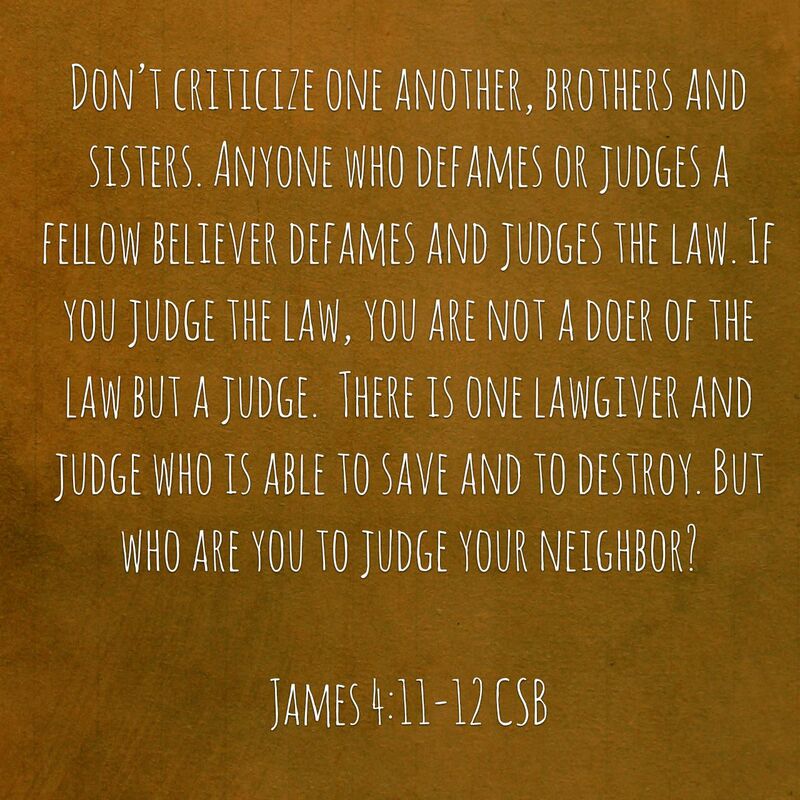 One of the most difficult things I think we have to do as Christians is balance the command to correct fellow believers (Matthew 18:15-17) with the command not to judge incorrectly (Matthew 7:1-3). When I read this passage from James it shows how serious this balance is. When we step out of bounds, we move from correcting a fellow believer out of love and into a position of correcting God. He is the Lawgiver and if we’re judging the law, that puts us in a position of determining whether or not His work meets our standards instead of whether we meet His. Now I don’t know about you, but that’s not a statement I care to make to the Creator. God, I would apply your law here but it comes up a tad short. In essence don’t we say that when we move beyond God’s Word? I mean, He left a canon of scripture for us. Is it good enough as it is? If you believe in it, be livin’ it.